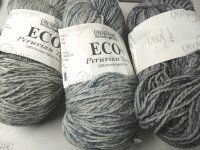 This 100% Peruvian wool is available in natural colors(produced entirely without chemical soaps or dyes) and dyed heathers. 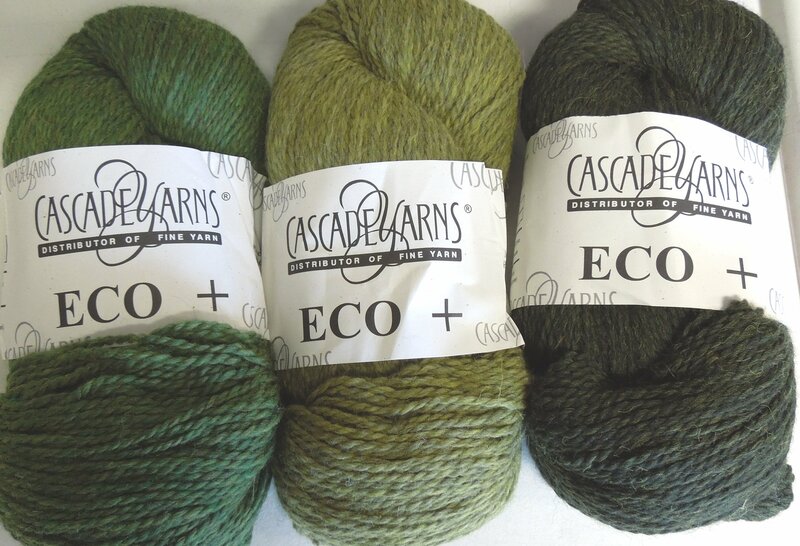 Washed with vegetable oil soap and exhibiting a variety of beautiful natural colors, the undyed version of this yarn is perfect for those with chemical sensitivity, and is also good for the earth! 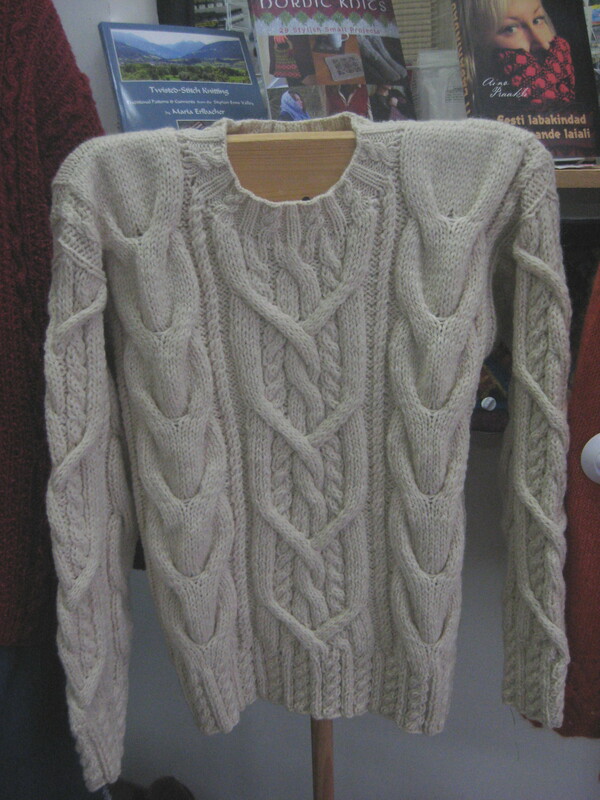 A great choice if you wish to knit something like the sweater below which grades from one natural shade to another. 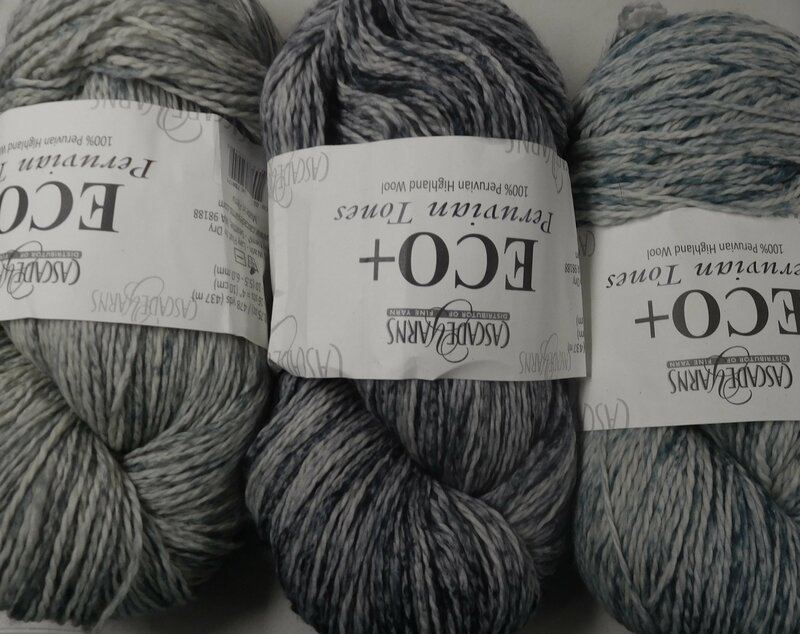 Newest for the fall 2017, are a range of Peruvian Tones that are color speckled on white. 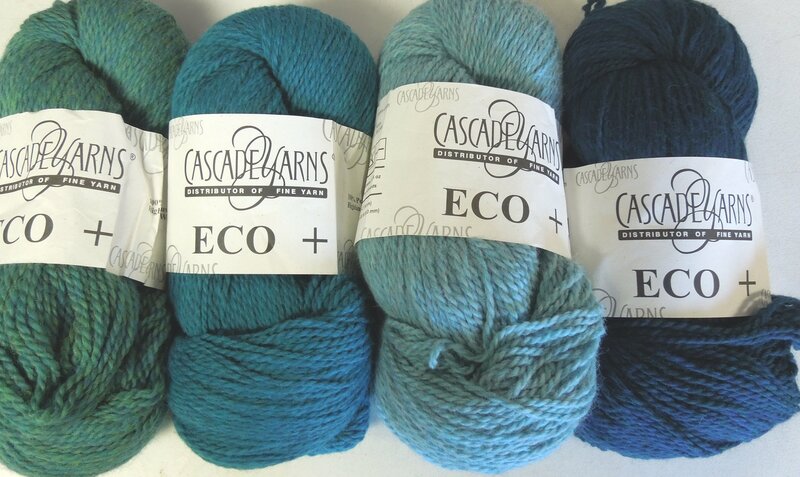 You can see the 4 color options I'm stocking in the lower right box and a photo of the store model (a work in progress) left most photo above the color choices. 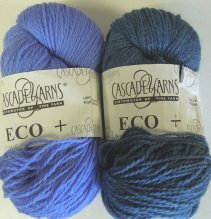 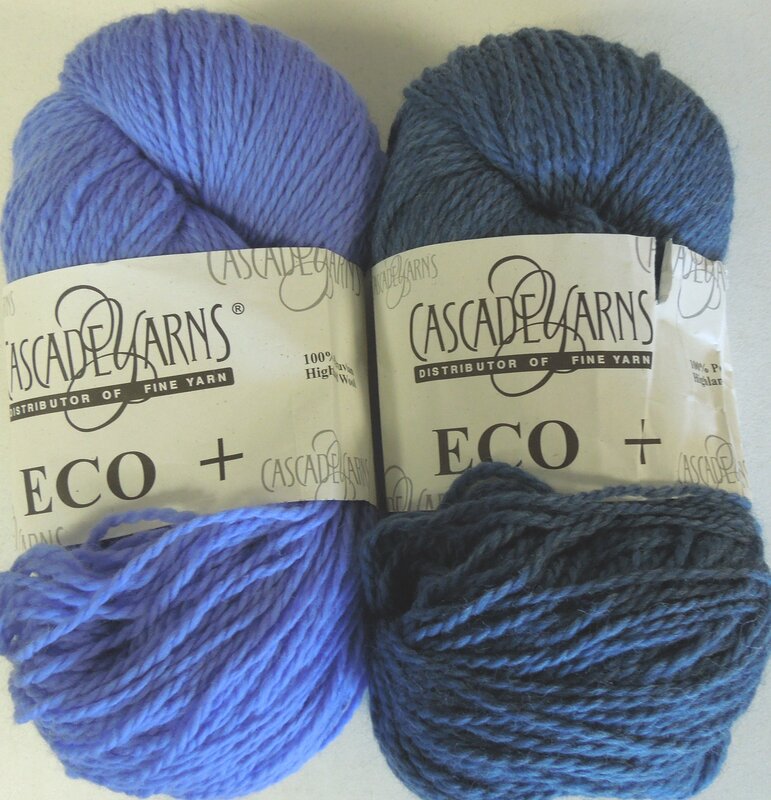 Each skein contains 478 yards and knits at 3.5st/in on US 10 needles (or 4 on a 9). 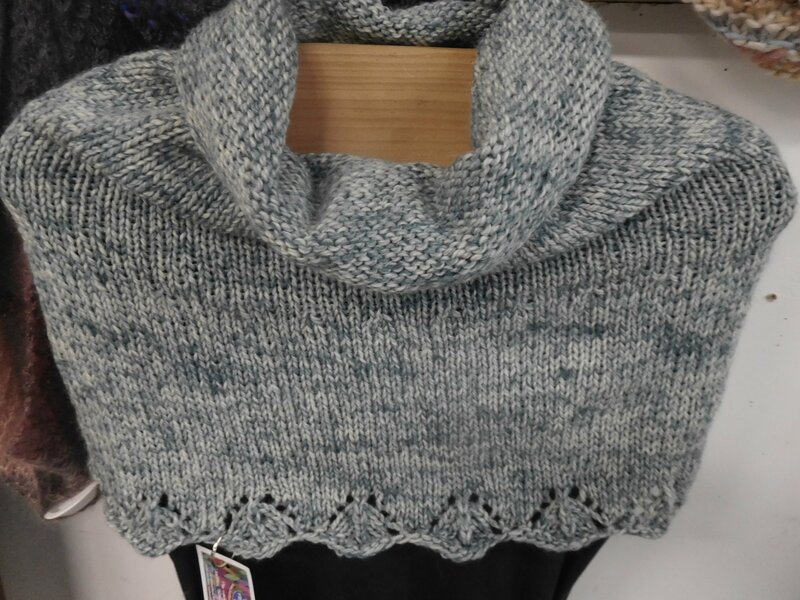 The afghan below is a simple garter stitch mitered square pattern (I believe my sister cast on around 93 sts for each square). 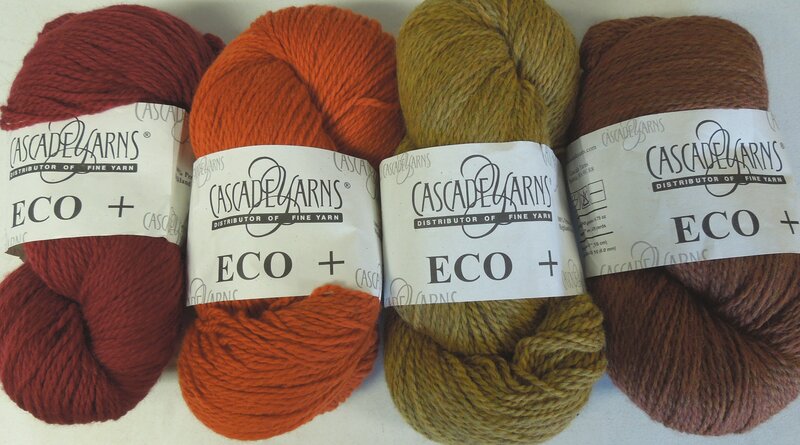 The afghan can be done with 4 skeins (each of a different color). 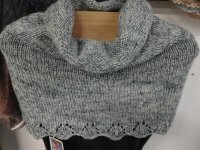 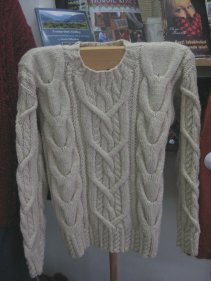 The cabled sweater shown below took 4 sks and the pattern is a free download. 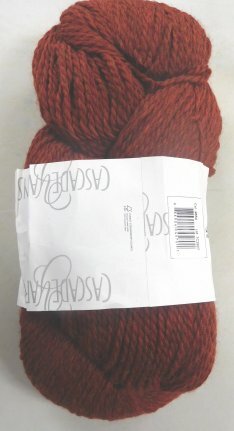 For a very similar wool but in a slightly lighter gauge (4-4.5/inch), check out Homestead.